I'm not really one for resolutions but I am all for making goals every year to as a way to motivate and continue to improve myself and my life. I started doing a number of these things last year and the positive impact is enough to keep it going as it gets me closer to my ultimate goal of living my best life. I never want to forget the value and importance of this because it has made such a major impact in my life. There are many food fads but following a flexitarian eating plan has worked out best for us. While there are a number of foods that I don't touch, the focus is never on restrictions but rather the good stuff so it never feels like I'm missing out on anything. Sticking with real whole foods and avoiding processed foods as much as possible is fairly effortless and it makes such a difference. While we may have made more big ticket purchases last year, they were geared towards wellness and home improvement so they paid off in improving our quality of life. Otherwise I bought a lot less in general and it has made a big difference in my goal to reduce clutter and stop buying things we don't need. I happen to believe that global warming is real and that we all need to do our part. I try to choose sustainable food options whenever possible and I bring my own reusable bags when shopping. I've cut down my usage of paper towels by using washable cleaning implements. I'm definitely looking for more ways to reduce our carbon footprint and get to zero waste this year. We've largely made the transition over the years but we need to be all in. With all the clean options out there these days, this is a no brainer. This is important since certain chemicals can act as endocrine disruptors that interfere with the body's natural hormones exacerbating allergies and leading to fatigue, nausea, and headaches. Prolonged exposure may even lead to more devastating health problems. This may seem like it's far off but really it's never too early to save for retirement and it's something that my husband has been particularly concerned about because he wants us to be able to live well when we get old. We have a pretty good nest egg stashed away but with our mortgage payed off, we can/should really do better. It's not surprising that heavy technology users have a higher risk of sleep disturbances and mental health issues not to mention how can one live in the moment if you're always on your phone. Besides the news is not exactly a source of joy these days so it's a must to just step away for the sake of sanity. Scheduled technology breaks have me benefited me on both a mental and physical level and I may be taking longer ones. Learning Korean kind of got lost last year but it's something I'd really like to do before we visit the country so I need to get back into it. I also need to finally sign up for sewing classes. I always manage to turn my projects in but sometimes I wait until the last minute to get them done because something about the pressure of a deadline drives me but it also creates stress so I'm going to strive to not let distractions keep me from tackling my work in a timely fashion. I mean it's always better to GSD first and then play right. This has been a life long struggle that I really need to be better about. I don´t really have goals that I set right now, but a lot of the things you mention (save for retirement, reduce waste, buy more consciously) have been goals of mine for several years now. I believe in investing in my future and in the future of my kids, and as someone that believes in global warming as well, living more environmentally conscious is a responsibility towards my children. I’m so with you with this goals. I also do not do resolutions I believe start with a better self. Awesome post 2018 will start great for you doing these goals. Well, as you may know, I am a firm believer in unplugging regularly. :) It definitely helps. I have several food allergies so I have my own plan that I follow, but I started taking out dairy (this month). Best wishes to you with your goals. Happy 2018! Happy New Year! These are wonderful goals! I definitely would love to try unplugging more often too! Your have chosen really wonderful goals for this year. I always do my best to recycle & buy only the things I need. Studying Korean also sounds like a good idea. Language learning has many benefits, probably too much to count them all, and as someone who loves languages I would always recommend it. Still, what many people (including even myself, a language teacher by profession) sometimes forget is to enjoy the process as much as possible. We often get discouraged when we feel like we're not making progress, but it is crucial to remember that language learning is a process...and it can be a fun and an enjoyable process. I haven't made any NY resolutions, but generally speaking I have always loved the start of a New Year, as I feel it is a good idea to reflect. I'll probably set some goals by the end of the month, for now I'm giving myself extra time. I do plan to invest a bit more into furthering my education this year, I'm still exploring my options but I feel like I'm really to do some studying again. I'm starting to think that there is no such thing as being overeducated. I have set no particular goal for the new year but I find many from your list resonating with me. I, to, want to make small yet constant efforts to improve quality of life. That includes eating better and staying healthy, of course. Happy new year! Hope that this first week of 2018 is going well for you! We've been enjoying the warmer weather with some pool time, as it has been a particularly humid summer so far the pool has been a good idea. Totally agree... such great goals Rowena! I am not one for resolutions but there are a few listed here that my husband and I are practising. We too believe in global warming and we do our parts to minimize wastage. We're very good with recycling and bring our own bags or containers when we are out shopping. My husband and I are also saving up for our future retirement and for the kids and it's the main reason why I plan to quit spending frivolously on beauty stuff this year onwards. I did allow myself to splurge recently because it's my birthday end of the month but other than that, I have been on a ban since December. This year I plan to cook healthier and better too, as you said, it's about wellness. These are great goals Rowena! I try to limit processed foods. I would like to eat more fresh veggies this year. Have a great weekend! Happy New Year to you Rowena! I hope 2018 is your most memorable, happiest, healthiest, most loving and successful year yet. I love these goals you've set for yourself, they mimic a few of my own (and I've added another one or two from your list hahaha!). I definitely want to spend less and invest in more quality. 2017 saw me constantly purging my accounts and buying stuff I never ended up using (then reselling on ebay). I also need to make wellness a priority. Both mentally and physically. I've been making excuses for far too long now. I don't usually set resolutions as I'm horrible at keeping them, but I think that everything you've listed are all wonderful things to strive for! I made living more minimally my goal last year and I honestly felt so much happier with less clutter and more money in my bank account! I'm also trying to eat healthier, which means more home cooked meals with raw ingredients (so instant noodles don't count!). Learning Korean and getting back into sewing sound like a great way to start off 2018, I think it's so important to learn new skills all the time. This year I want to focus more on scuba diving and learning Spanish and Welsh, so that my new year at university in Spain and Wales I will be able to communicate with the locals better. Leading a chemical free life is so important, as is eating better and having less screen time, all things on my resolution list. I'm currently living off a Mediterranean diet as it is said to be one of the best, so once I've done this first month solidly following resolutions I think the rest of the year should become almost habit. Pretty much mine, too, I'll try my best! I look forward to reading your journey in 2018. Good luck in your healthier lifestyle! These are a great list of goals.. things that are attainable.. not rigid where failure is simply lurking around the corner.. good luck on all your goals. Happy New Year Rowena! These goals should be framed! 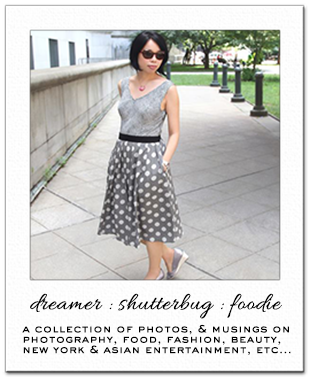 I'm saving this post, because I would love to incorporate all of these into my life. Definitely keep sharing with us the products you love using (cleaning supplies, gadgets, skincare etc.) I've cut a lot of sugar out of my diet and I've lost weight. I still love sweet things, but in other forms (such as cute makeup packaging, pictures etc) Just fly Emmy in to teach you sewing! LOL She's so good! Wishing you a great year my friend. Really loved this. 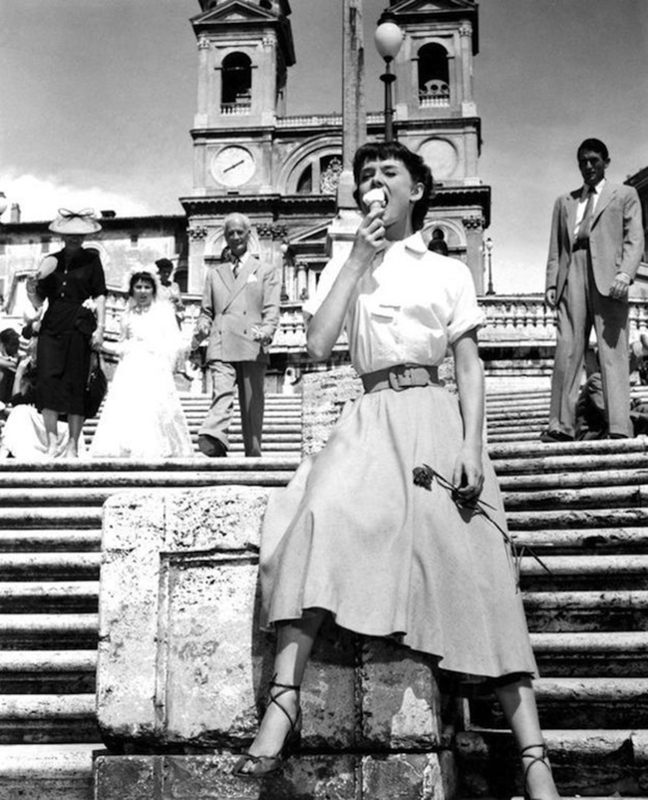 I also love the Roman Holiday picture >.< I love classic movies. If I had to pick one of these goals for myself, I think I'd go with learn a new skill. It would be nice to play an instrument or be a good painter something cool like that.